Find Duluth, GA Condos for sale. View Photos, Maps and MLS Data Now! Bentwood At Sugarloaf - Owner'S Suite W/ Double Trey Ceilings, French Door To Master Bath, His/Hers Seperate Vanities, Seperate Tub & Shower, Tiled Floors, & Walk In Closet. Great Location! MLS#6539702. Heritage Ga. Realty. 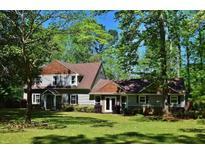 Convenient To I-85, Shopping, And Berkeley Hills Country Club. MLS#6539158. 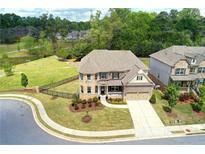 Atlanta Realty Global, Llc..
A Premiere Home In Riverbrooke With Custom Brick Front, Has To Many Upgrades To Mention Here. MLS#6539616. Assent Realty, Llc..
Chattawood - If You'Re Ready To Experience Everything Downtown Duluth Has To Offer, Make Your Move Today Into This Perfect Home That Will Not Last Long. MLS#6539259. The Norton Agency. New Deck Overlooking The Private Fenced Yard. MLS#6539322. Redfin Corporation. Very Rare 2 Story Grand Room In Terrace Overlooking Private Backyard With Deck. MLS#6538833. Keller Williams Realty Atlanta Partners. Front Porch Overlooks "Park-Like" Neighborhood Common Area. MLS#6537162. Re/Max Around Atlanta Realty. Custom Luxury W/Stunning Curb Appeal Most Desirable Cul-De-Sac Lot Ov/Looks Lake; Extradordinary Custom Details All 3 Levels Of This Elegant Home; Chef'S Kitchen Boasts High End Stainless Steel Appliances, Granite Island, Keeping Room & View Fireside Family Room; Guest Suite Main; master Retreat W/Sitting Room, Luxury Bath; Generous Secondary Beds; Terrace Level Is A Perfect In-Law Suite W/Full Kitchen W/Marble C/Tops, Bed & Bath, Family Room, Theatre; Hardwood Floors; Att To Detail Throut This Home Is Exceptional .Optiional Golf Swim Tennis At Berkeley Hills Country Club Located In Paul Duke Stem School District MLS#6538494. Crye-Leike, Realtors. Reserve At Foxdale - Close To Shopping Dining, Top Schools! MLS#6538481. Compass. Berkeley Mill - Top Duluth Schools. Agent Related To Owner. MLS#6539110. Russell Realty Brokers, Llc..
Strathmoor - Brand New Carpet, Hardwood Floor And Appliances.New Paint Interior! MLS#6538781. Crye-Leike, South. Stonebrier At Sugarloaf - Gated Community With Tennis Courts And Swim Team. MLS#6538165. W 4 Properties, Llc. Lakes At Sugarloaf - Immaculate 3-Sided Brick House On Cul-De Sac Features 4Br/3.5 Bath/ Office W/French Doors On Main Level, 2 Story Foyer Leads To Living & Family Room With Built-In, Gourmet Kitchen Has Big Island, Back Splash And Stainless Steel Appliances Views To Family Room, Hardwood Floors On Main Level, Spacious Living And Dining Room,Iron Balusters Leads To Upstairs, Huge Master Bedroom W/Trey Ceiling, Separate Tub/Shower, Walk-In Closet, Guest Suite, Front Porch Views To Garden And Play Ground, Fenced Private Back Yard, Energy Save Builder House, Gated, Pool & Tennis Community In Convenient Location MLS#6538063. Chapman Hall Professionals. Cardinal Lake Estates - Storage & Workshop Equipped W/ Plenty Of Power For Your Creative Use! Welcome Home! MLS#6538230. Keller Williams Realty Atlanta Partners. Bridlewood - Cul-De-Sac, Extra Parking Pad,Gardens! Vacation At Home! MLS#6538045. Bhgre Metro Brokers. Berkeley Springs - Oversize Master Bedroom Upstairs, Three Bedrooms Upstairs With A Loft, And Space Ready For A Fourth Bath, Or Storage. A Must View Property! MLS#6537852. Royal Realty Services, Llc..
Windsong Trace - Square Footage Of The Partially Finished Terrace Level Isn'T Inlcuded In Tax Records. Must See! ! MLS#6538152. Win Win Realty Management Corporation. St Marlo Country Club - Wide Open Floor Plan W/Paneled Study, Gorgeous 2-Story Grand Room W/Wall Of Windows, Elegant Dr, All New Chef'S Kitchen W/Bosch Appliances, Center Island Flowing To Keeping Room W/Walk Out To Slate Veranda Overlooking The Level B'Yard W/Golf/Lake Views; Vaulted Master On Main W/Luxe Bath & His/Her Closets; 2nd Level: Loft+4 Ensuite Bedrooms W/Huge Closets; Terrace W/Bar, Rec/Exercise/Movie Room & 6Th Bedroom & Bath; Plantation Shutters, New Hardwood Floors, 4 Fireplace, Cov Porch At Terrace Level, 3-Car Garage, Room For Pool+! MLS#6537379. Smart Decision- Sharon Dover And Associates. Property Comes With A Covered Back Porch, Ideal For Outdoor Entertaining And Cookouts. MLS#6534486. Virtual Properties Realty.Com. Findley Chase - Walk To Findley Oaks Elementary School. MLS#6537733. Great Brokers Realty, Llc.. Please Do Not Disturb Tenants. Call Us Today For Details! ! MLS#6536968. International Real Estate Dream, Llc..
Berkeley Downs - The Kitchen Includes A Skylight. Big Master Suite. MLS#6536483. Weichert Realtors Cara And Assoc.. Village At Albion Farm - Located Just Minutes To Downtown Duluth, Town Green, Shopping And Restaurants. MLS#6536745. Harry Norman Realtors. St Marlo Country Club - Flat Yard Perfect For A Pool. Make This Home Yours! MLS#6536543. Maximum One Premier Realtors.